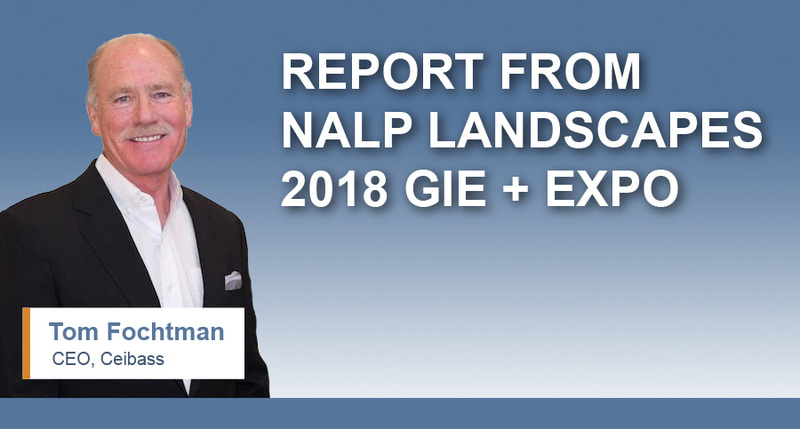 Recently, Tom Fochtman, Ceibass CEO, attended the National Association of Landscape Professionals’ LANDSCAPES 2018 GIE + EXPO’s premier education and networking experience in Louisville, Kentucky. Everybody at the event is super upbeat. All making money. Record years, exceeding 2017’s record year. It’s that type of economy. For now. They are also very aware that things are starting to slow. All the economic indicators point that direction. Get it while you can. Immigration reform and ultimately the lack of labor is the #1 challenge. Most (not all) contractors could make more money if they had the labor. There is strong talk that we finally get some reform with H2B and we will know that before/no later than 12/31. On the M&A side, Buyers have actually pulled back a bit on companies that use H2B as they do not want the turmoil of replacing what is usually 50% of a workforce. For those that use H2B, it is frequently up to 50% of their total field force. Buyers are still in the market but are sitting back a bit to see what happens at the end of the 4th quarter. Very upbeat though, for the most part. Slowdown, yes. Recession, no.